Motor Club of America is a unique motor club serving the United States, Canada, and Puerto Rico. 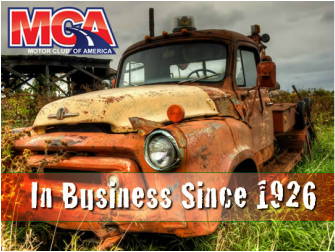 Motor Club of America offers 24/7 emergency roadside assistance plans, membership discounts, and the most reliable service in the auto club industry. With over 86 years of experience, we know how to provide the best in customer care while offering a variety of options that best suit your individual needs.